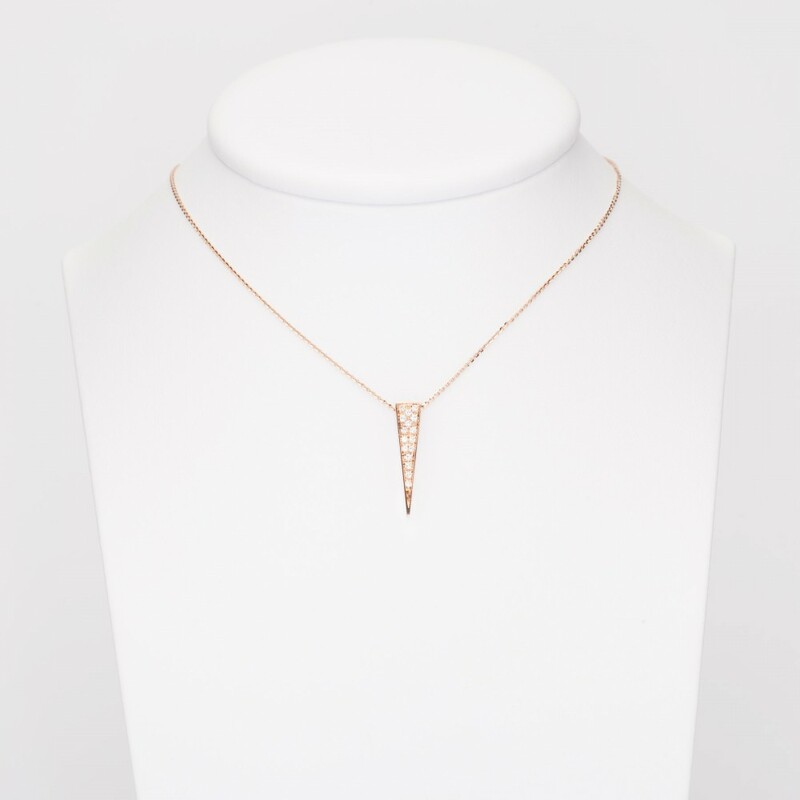 Necklace in 18 kt rose gold with brilliant cut diamonds ct 0,17. 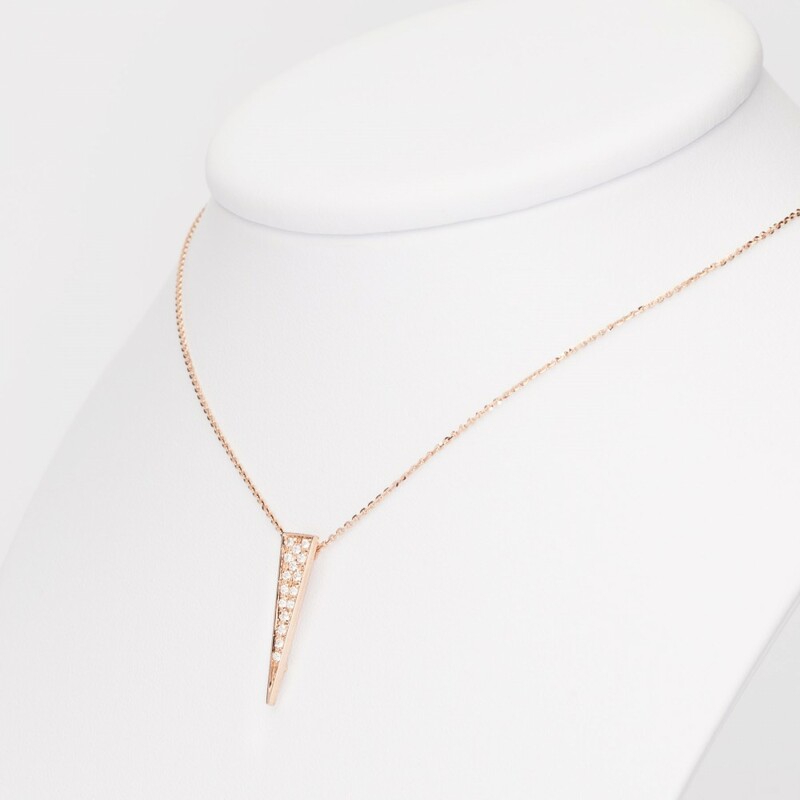 Handmade charm in 18 kt rose gold with brillant cut diamonds, pave setting. 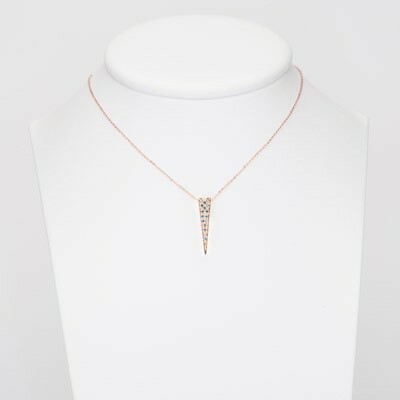 Pendant is 25 mm x 6 mm, the chain is included in the price and it's a bright rolò one, length is 40 cm. Stones are high quality brilliant cut diamonds, total carats are 0,17, clarity VVS, color F.
Nicolini guarantees that every sold diamond does not come from any African area involved in civil wars, and its purchase does not violate United Nations resolutions 1173, 1176 and 1306.